Renowned Club DJ, DJ Thabzen Bibo known for his impressive hit singles, has just released a new single titled Jabula Wenjabulo. The single comes with a sensational combination of vocals and hope lyrical flow(s) that will resonate with many South Africans. Trust DJ Thabzen Bibo to plot the banging betas and stunning instruments to make the joint a scorcher. Jabula Wenjabulo talks about the artist Thabzen Bibo reaching his time to shine and succeed with the gift and the talent God gave to him. The artist and the vocalist are rejoicing and sharing happiness to the world through their musical talents. 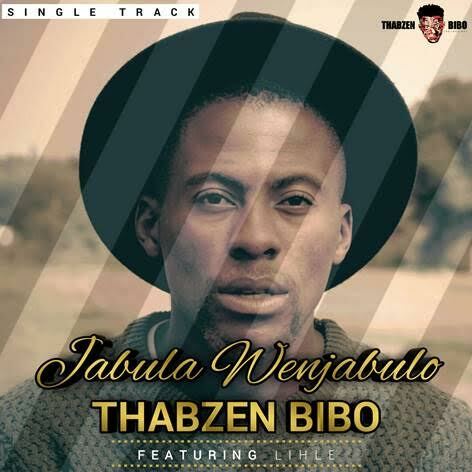 Jabula Wenjabulo is an extension of DJ Thabzen Bibo’s colorful discography, with a charismatic synching beat that contributes to the youthful yet ancient in its sound and also authentic single. The song has been receiving rave reviews from various industry heads and music compilers across the country. “When you hear Jabula Wenjabulo song you can’t help but sing along and be happy as you can be,” expresses Nantes TUT FM music compiler. DJ Thabzen Bibo is a DJ and Producer, Real name Thabo Mashego originally from Middelburg. He started making music since the age of 20 when he produced his first big single titled The Heavy Drum and Famba Nawena featuring Fiesta Black. This release got the attention of well-known DJs like DJ Shimza, Black Coffee and DJ Qness and several other big names in the industry. After successfully completing school, Thabzen Bibo moved up to Johannesburg and since then he has been gradually making a name for himself. The single is expected to be a highly impactful single which will instantly bring life to many events across the country. Make sure you request Jabula Wenjabulo on your favourite radio station and follow DJ Thabzen Bibo on social media for more upcoming projects. STREAM NEW VISION RADIO HERE or get your music playlisted by sending an email to buchule@newvisionradio.co.za Tweet @NewVisionRadio1 or Facebook page: New Vision Radio Station.